"Treating water is our only business"
We specialize in water treatment and purification in Oviedo Florida, to improve the quality of the water you drink, cook with, bathe in and use for household chores. 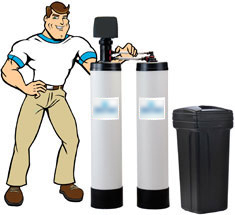 Pure One Water Treatment is a city water treatment and well water treatment expert. At Pure One Water, treating water is our only business. With over 50 years of experience servicing the Orlando market, we understand the water characteristics of the area you live in which helps us determine the best treatment for your home. At Pure One Water we know that not every home needs the same equipment so we specialize in building every unit to accommodate each individual homeowner’s needs in Oviedo, FL. Water softeners have a variety of benefits including noticeably smoother skin, saving money on soaps, spot free glassware and showers, brighter laundry and more! Remove Chemicals and Pesticides - Potentially harmful chemicals such as VOC’s, pesticides, industrial chemicals, benzene, ethyl bromide, cleaning compounds, cresol and chemicals used in fertilizers are removed. Remove Odors and Tastes - Chlorine tastes and odors are removed through adsorption, adding a “sweet” taste to your water. Condition Water - Calcium, Magnesium and other water hardness minerals are removed from your water to provide soft water for whole house water treatment and conditioning. 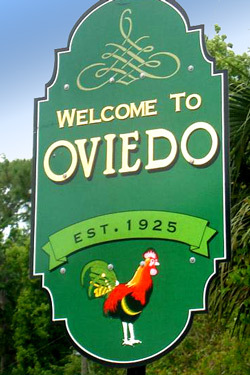 CALL 800-835-8380 OR CONTACT US TODAY FOR MORE INFORMATION AND A FREE WATER ANALYSIS IN OVIEDO! Reverse osmosis drinking water systems come with quick change cartridges, NSF certified 75 GPD membrane, plastic storage tank, dedicated faucet, saddle valves and instructions. Pre-filtration for sediment and other particulate. Activated carbon to remove Chlorine, tastes, odors and other chemicals. RO membrane to remove additional harmful drinking water contaminants. Post-carbon treatment for final polishing. You get great tasting, high quality drinking water from the dedicated RO faucet. Remember, not only will your body benefit from drinking and bathing in Pure One treated water, properly treated water will also protect and prolong the life of your home's plumbing, all water-using appliances and it can lower hot water costs and save on cleaning and soap products. Please contact us at 800-835-8380 so we can help you find the right water treatment solution for your home. No soap build-up on shower walls & doors. Save money with less soap & detergents!